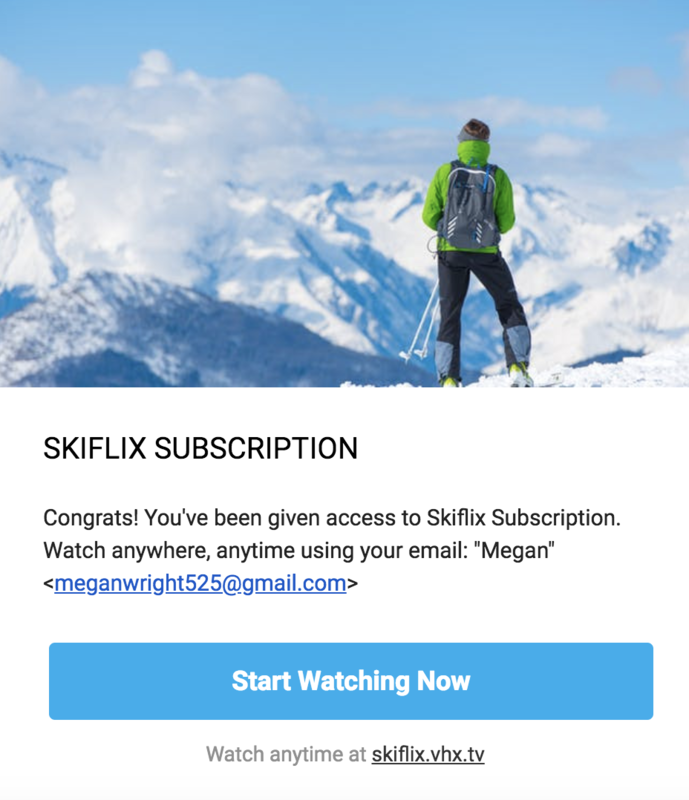 Why would I want to give free access to my video products? Getting the word out on your project and taking care of your customers has never been easier. 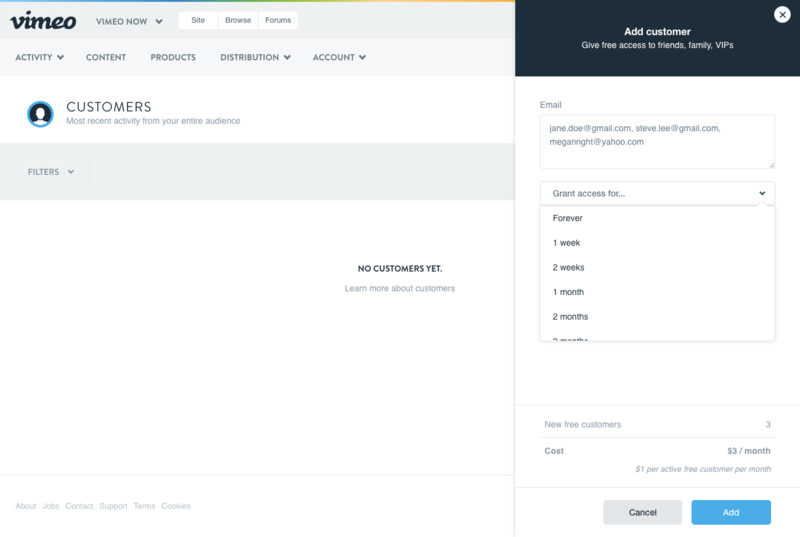 Whether you are sending free copies to your partners, friends and family, crowdfunders, or VIPs, the "Add a Customer" tool can give this exclusive group free access to your subscription or transactional (purchase/rental) Products. 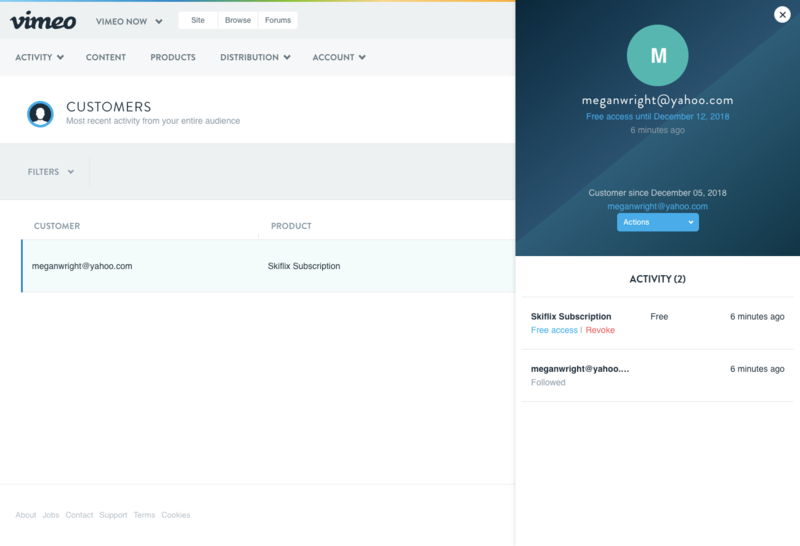 Give your customers free access. Send a copy of your work to cast, crew, friends, & family. Fulfill a crowdfunding campaign - Got a campaign you need to reward the backers of with a digital download of your work? We charge you $1 per backer! 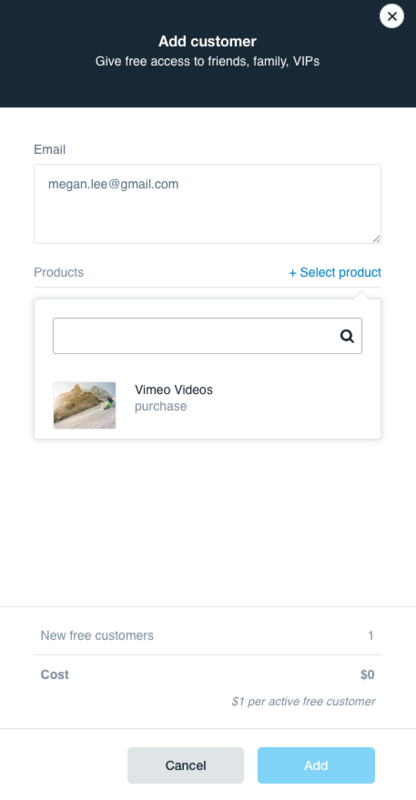 Use the Add a Customer tool to send a Product of your choice to your recipient(s). They will get immediate access to watch your content, without having to go through a redeem process. 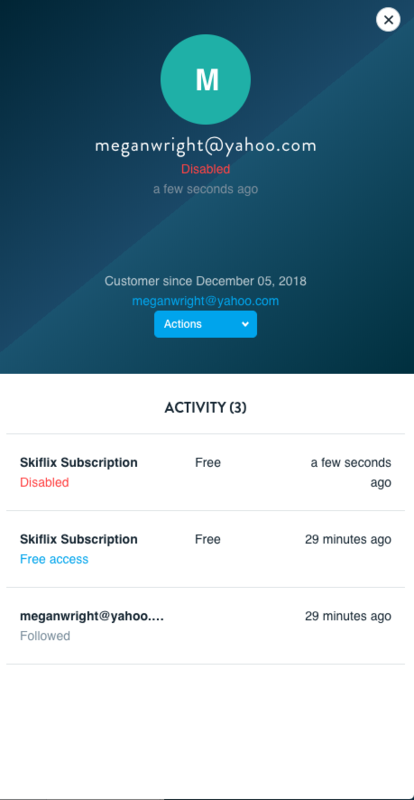 Please note that customers who are given free access are not given a chance to renew their subscriptions, because there is no existing subscription to renew. When their access expires, they will be able to sign up via the checkout form. 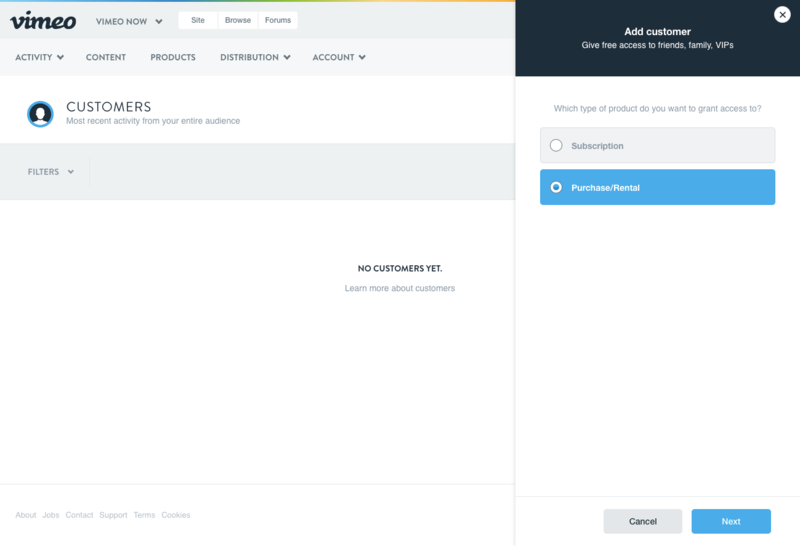 To get started, Navigate to the Customers page under the Activity tab. 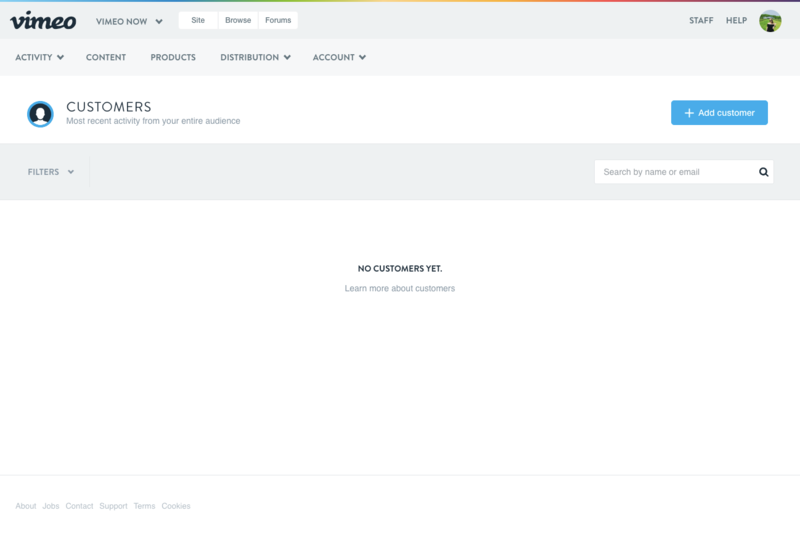 On this page, you can not only add a customer, but also keep track of the most recent activity of your entire audience. Click on the Add Customer button. Select the type of product you wish to send out, in the case of this example, a subscription. Hit Next. 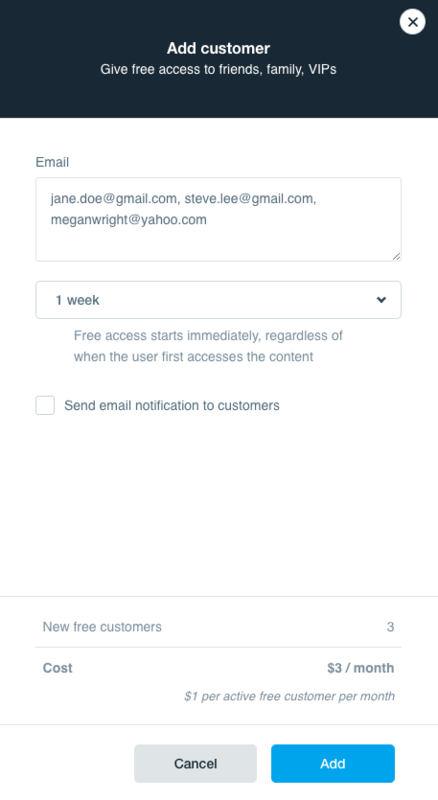 Fill out the Email, Duration, and Message fields. You can enter up to 100 recipients at a time, and grant them access for: 1 week, 2 weeks, 1 month, 2 months, 3 months, 6 months, 1 year, or Forever. At the bottom of the window, you will notice a charge that corresponds to the number of recipients you have chosen to include. It's $1 per active free customer per month. You can also opt to send an email notification to these users. It is automatically unchecked, so make sure to check the box if you want to send these users an email informing them of their access. Finalize the process by clicking Add. A message will appear confirming that the following recipients have been added to your Customers Page. The recipients you have selected will receive an email explaining that they have been given access to a subscription. The email will contain the product artwork, your message, and a watch link. Similarly, you can give special viewers access to your transactional (purhase/rental) products. Under the Activity tab, visit the Customers page and click on the Add a Customer button. Click on Purchase/Rental in the menu and hit Next. Select the specific product you wish to give the recipient access to by clicking on, "+ Select Product"
Fill out the email and message fields, and click Add to complete the process. The recipients you have selected will receive an email explaining that they have been given access to the rental/purchase content. The email will contain the product artwork, your message, and a watch link. Once you click on the customer, a window will appear to your left. It will display the customer's information, as well as an option to revoke access. Click Revoke in red. A pop-up will appear asking you to confirm if you want to revoke access. Click OK. You will then see the customer's account status update to "disabled."